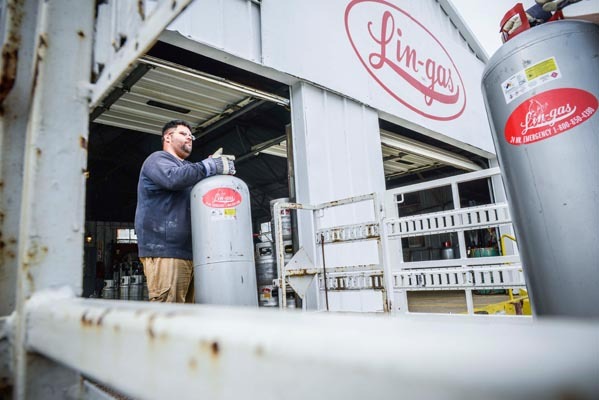 The next time you enjoy a basket of Pronto Pups or a funnel cake at the West Side Nut Club’s annual Fall Festival, you can rest assured that Lin-Gas helped to keep your taste buds happy. 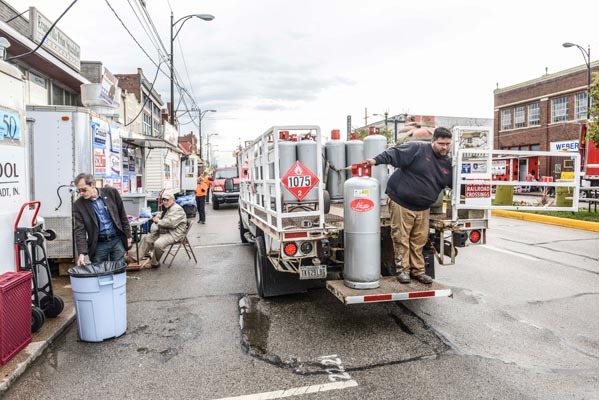 Lin-Gas employees put in long hours to assure that the festival never runs out of the propane that powers grills and fryers all along the length of Franklin Street. 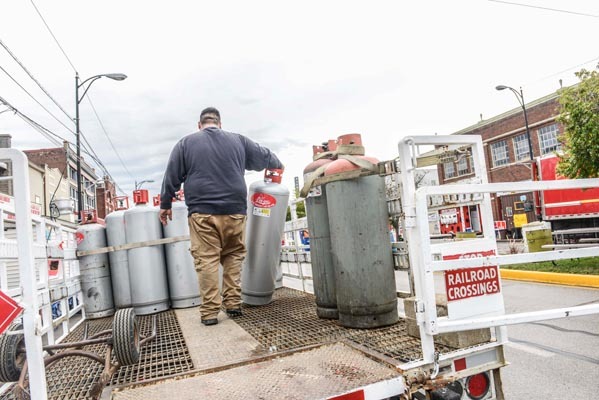 Before the festival opens for the day, a Lin-Gas driver arrives with fresh tanks for delivery. Taking a fresh tank off the delivery truck. 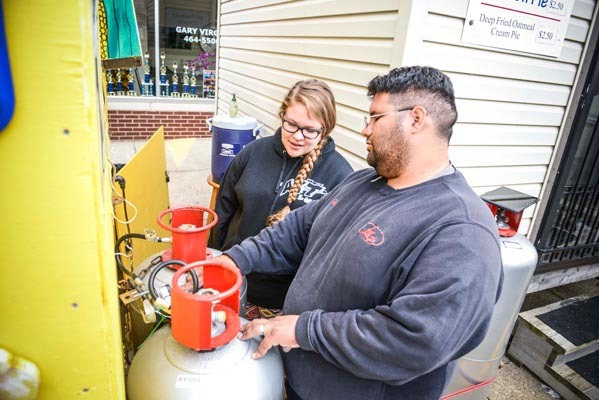 Customer signing for the delivery of propane tanks. Reviewing usage procedures with customer. 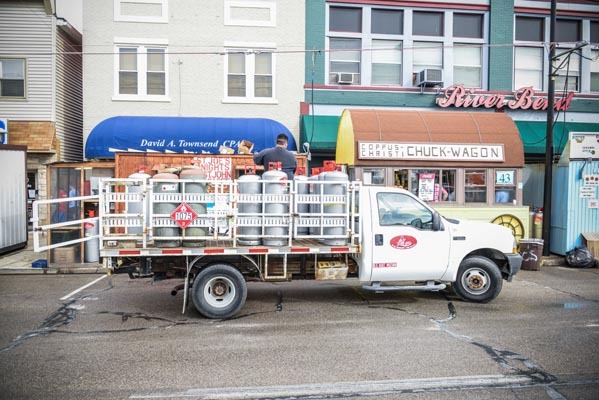 Returning used tanks to the truck. Lin-Gas truck, full of empty tanks, ready to leave. Meanwhile, our driver has returned to the Lin-Gas warehouse with empties for refilling. 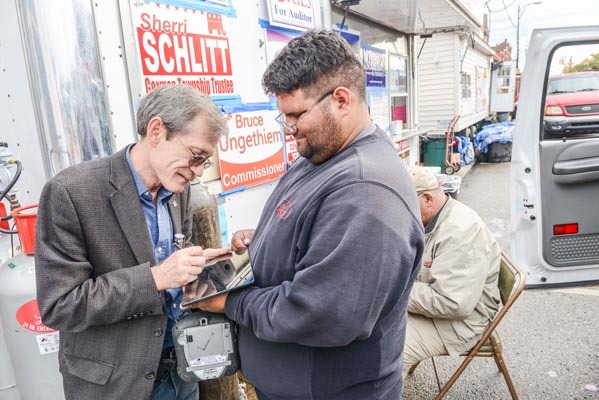 With the incredible number of visitors to the Fall Festival booths each day, we must repeat this process starting at 6am every morning during the event. 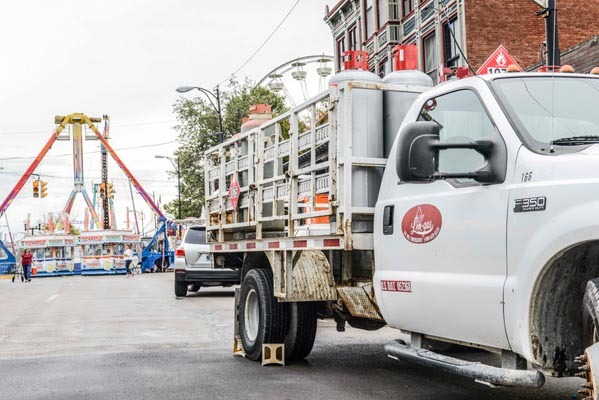 Our drivers put in long hours during the week of the festival, true, but they also get the opportunity to try a variety of the amazing food available. 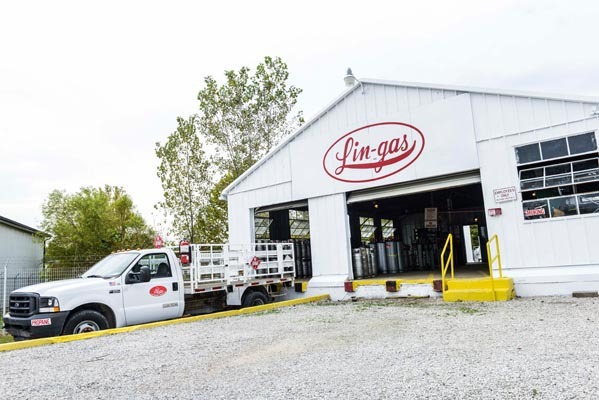 Numerous churches and other civic and charitable organizations rely on suppliers like Lin-Gas to help the festival run smoothly. 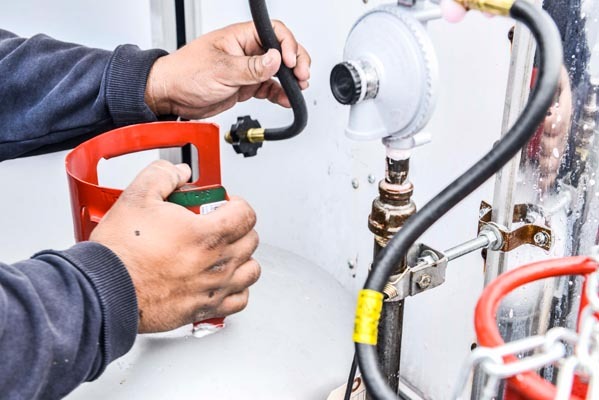 We try to go above and beyond to assure that each booth requiring propane is properly supplied and safely connected for the day’s cooking demands. As a multi-generational local company, Lin-Gas is honored to assist the community’s charitable organizations in this way.